With cells grown in culture and lysed, a simple total protein determination such as the Bradford assay developed by Marion Bradford at the University of Georgia in 1976 will give an estimate of cellular protein. This type of measurement, along with Lowry and other dye binding assays, can be prone to a number of factors that will adversely affect the result. Factors such as the amount of detergent, chelators, etc will affect the result, but the protein that is used to standardize is also crucial to the measurement. Selection of a protein standard is potentially the greatest source of error in any protein assay. We have developed a simple, easy-to-use dual-range BCA Detection Kit (K041-H1) for measuring protein using a BSA protein standard that gives the same result for both BSA and IgG. It features two 96-well plates and room temperature stable, liquid reagents that are ready to use. As research focuses on more personalized medicine, the analysis of urine, saliva, sweat, serum, plasma and tissues allows diagnosis and treatments to be developed. The normalization of analyte results using an independent biomarker allows such results to be compared across researchers and across samples. There are two main methods of normalizing urinary analytes. One is the collection of 24-hour urines, where the total volume of urine excreted during a full day is measured. Although this method allows total urine output to be accurately measured it can be problematic. Humans dislike collection and storage of the 24-hour sample and some analytes may have limited stability in the collected urine volume. The alternative to 24 hour collection is to collect a single random urine sample and measure urinary creatinine. Creatinine is a metabolite of phosphocreatine, a molecule used as a store for high-energy phosphate that can be utilized by tissues for the production of ATP. Creatine and phosphocreatine are converted non-enzymatically to the metabolite creatinine, which diffuses into the blood and is excreted by the kidneys. Under normal conditions, creatinine is created in blood at a constant rate. Its renal excretion is only dependent on urine volume, making creatinine a useful tool for normalizing the levels of other molecules found in urine. Our Urinary Creatinine Kits (K002-H1/H5) allow a rapid, easy to use, and precise measurement against a US National Institute of Standards and Technology-calibrated creatinine standard. 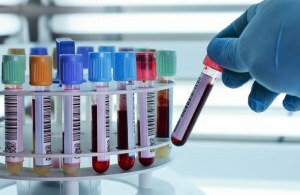 In a similar manner hemoglobin is often used as a reference molecule for normalization of assays carried out on red blood cells (RBCs), serum and plasma samples. A number of enzymes or other molecules assessed in RBCs are reported per gm of hemoglobin, such as monitoring dietary therapy of patients with galactosemia due to galactose-1-phosphate uridyltransferase deficiency or uridine diphosphate galactose-4-epimerase deficiency. Our Dual-Range Hemoglobin Detection Kit (K013-H1) is calibrated to a native human hemoglobin standard and is designed to measure hemoglobin levels in whole blood, serum, plasma, and RBCs. All reagents are stable at 4°C and results are obtained in 20 minutes.